Sloane, a bar and nightclub in the heart of San Francisco, is living proof that cutting-edge LED lights can be integrated into a historic building to create a venue to remember. Located in a turn-of-the-century building that has stood on Mission St. for over 100 years, Sloane's interior features 20-foot ceilings, exposed brick, and reclaimed redwood plank walls. At the center of the club's warm atmosphere is a magnificent glass and steel bar that uses LEDs to create a modernist counterpoint to the building's historic vibe. Co-owner Dane Zuccaro designed the space, which includes clear glass bar shelves lit by our Waterproof LED Light Bars. 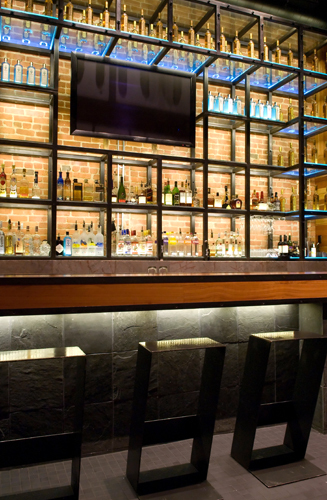 Additional fixtures also cast light under the front edge of the bar, and color-changing LED wall washers that fade smoothly over the vintage redwood planking on the walls. 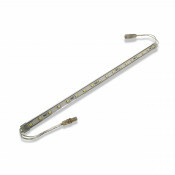 Ambiance and general illumination are stylishly set by SUNRISE™ LED Light Bars for a warm glow and DAZZLE 24™ RGB Tape light for multi-colored edge-light glass shelving. 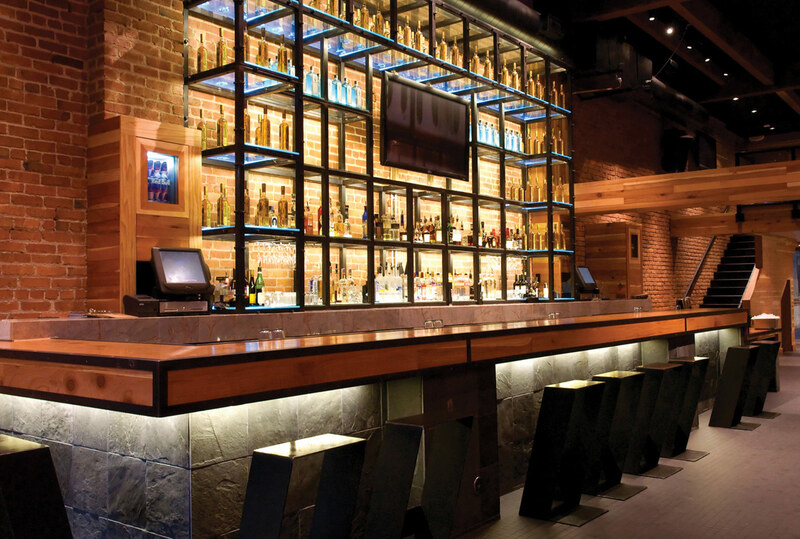 This subtle combination of lighting transforms this San Francisco hot-spot into a modern social scene. 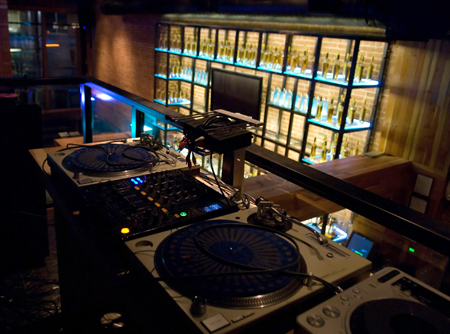 The LED lights aren't the only special details of Sloane: Dane also outfitted the bar with custom steel barstools of his own design; the DJ spins records from a suspended fire escape next to a VIP mezzanine overlooking the bar; and the cocktail and bottle menu are displayed on a 60 inch plasma television screen. 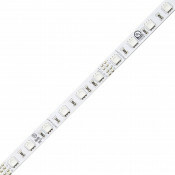 The unique look of Sloane shows that LEDs add a dynamic quality to an innovative design.